Home›Movie Reviews›15 Things in Movies That Need to End! THIS ARTICLE CONTAINS MAJOR SPOILERS FOR MANY CLASSIC AND CONTEMPORARY FILMS. READ AT YOUR OWN RISK. We go to the movies or rent new titles on a regular basis, and revisit old favorites. Some are good, some are bad. But one thing has become certain over the years; no matter what happens, some movies and franchises seem intent on repeating the same mistakes over and over again. It does not seem to matter how many years pass or how many new films get cranked out on a regular basis... these problems never change. For your entertainment, I offer you a list of 15 problems with films that need to be done away with, or handled in a better manner. These are things you are sure to have experienced at some point in your film-going experiences over the years. Note that these items are in no particular order. In a movie, two characters are in love. 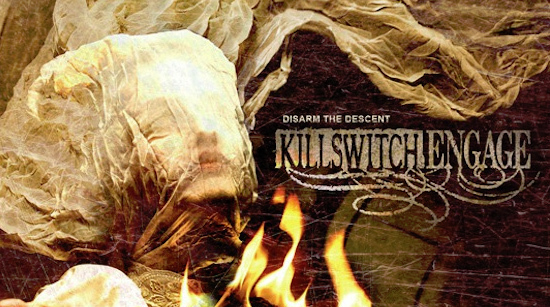 They move in slowly to kiss… and something happens to interrupt it. Is there any older, more overused cliché in cinema? Unlike many of the items on this list, this one transcends the movies, having taken a place in all forms of entertaining media. This was a fun idea for a while, but it has gotten to the point where, when two people are preparing to kiss on screen, we more-or-less EXPECT that “unexpected” thing to happen. Hell, in The Legend of Zelda cartoon, this happens in literally every single episode! The solution: Two people in love in a story can be doing something else when the unexpected event happens. 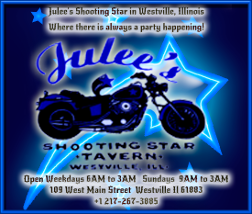 Be it going out and enjoying the day, or spending the night together. But it has gotten to the point where when two characters are about to enjoy a kiss, we KNOW something is coming. How about giving us the unexpected at an unexpected time instead? A character loses their memories, be it a limited, selective loss, or permanently losing them. This is one of the laziest plot devices used in stories, and one that has been overused to the point of losing the impact it once did. In Spider-Man 3, an injured Harry Osborn loses his short-term memories following a fight with Spider-Man… until the filmmakers decide it is convenient for him to get his memories back for the sake of advancing the plot. When done believably, amnesia stories can be brilliant. Unfortunately, it has become a cheap “go-to” solution for many less-than-stellar writers and filmmakers. The solution: If you are going to include amnesia in a story, take the time to make sure it will be believable and serve the plot well. Do not fall into all the traps of “generic” amnesia stories, which get used far too often, even in big-budget blockbusters. The Manchurian Candidate, released in 1962, was a rare example of a great film about mind control/hypnosis. Similar to amnesia, this is a rather convenient plot point that many stories utilize, often turning friend against friend. There are many variations on this plot device, but the majority of them feel like overly simplified, lazy ways of advancing the plot. It is yet another thing that can be exceptional if done well, but all too often, filmmakers and writers fall into traps and the stories end up feeling contrived. The solution: This falls under the same conventions as amnesia; the process needs to be believable and have hard defined rules. The Manchurian Candidate was an absolutely brilliant film dealing with an ex-soldier that was brainwashed while in service to his country, and finds himself contending with an identity crisis of sorts, slowly seeing the dangers around him come to light. Basically, don’t make the story and the mind control concepts feel generic. Not all twists endings are as good as this Rod Serling-penned one from Planet of the Apes. We’ve all seen these, maybe a little more often than we would care to admit. A movie is nearing its end, and a major plot twist completely changes the way we look at things. When done effectively, one of these can blow the viewer’s mind and make them want to rewatch the film to see it from a new perspective. The problem with twist endings is that they have become, much like many of the other elements on this list, overdone. The Twilight Zone had one in nearly all of its episodes (although these were usually well done), so much so to the point that they have become known as “Twilight Zone Endings.” Even one film director, M. Night Shyamalan, has become so infamous for these twist endings, that we expect them in every one of his films! The solution: A twist ending should turn the audience on their heads. It should be unexpected, yet something where all the seeds have been planted throughout the film. The ending should not feel forced or like something that does not belong. I know I have seen a good twist ending when I am thoroughly surprised, and want to revisit the movie from start to finish again, to see if it makes sense in the grand scheme of things. An example of a great twist ending (albeit one forever spoiled in popular culture) is the original Planet of the Apes, in which Charlton Heston’s character, believing he has been on a planet where apes evolved from man, realizes has been on Earth all along, upon finding the ruins of the Statue of Liberty on a deserted beach. 1960's Spartacus doesn't exactly end on a high note, but the ending is optimistic, and appropriate for the story. The solution: I’m not saying I don’t love a happy ending. If it fits the material, it can be great. But filmmakers do not seem to realize that not every movie has to have a “happy ending” where everything ends up perfect. In some cases, a so-called “bad ending” actually suits the material better. In Night of the Living Dead, literally everyone dies as a result of the zombie outbreak, with the one survivor accidentally being killed by a zombie hunting posse. In Chinatown, our protagonist, portrayed by Jack Nicholson, discovers the true villain behind the film’s crimes, only to end up with his lover being killed and the villain walking away untouched due to his status. Even “optimistic” endings are better than an outright “happy” ending in many cases; a great example of this is Spartacus, in which the titular character’s revolt against the Roman Empire fails, ending with him and his fellow soldiers being crucified, but he lives long enough to see his wife and newborn child escape to a life of freedom and peace. Put simply, the ending needs to suit the nature of the film. Can you imagine any of these aforementioned films with happy, “cure-all” endings? 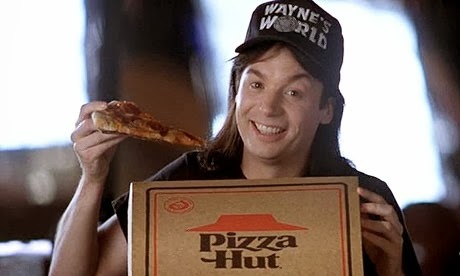 Wayne's World is a film that takes nothing about itself seriously.... including product placement! We have seen this in films for decades. 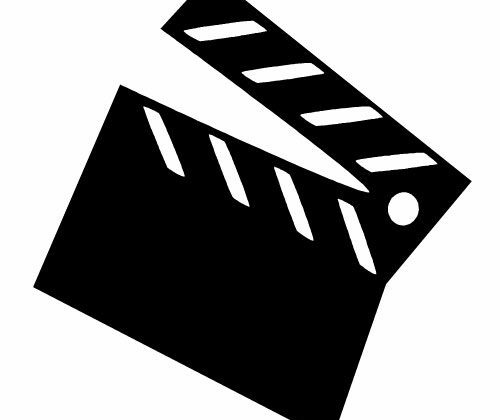 Filmmakers make deals with major corporations and promote their products in a film. From fast food restaurants and alcohol brands to major automobile manufacturers, this concept seems to know no bounds. Filmmakers obviously benefit from this extra money to put into the film, but as a result, the movie can end up feeling like a really big and expensive commercial. The 2017 Power Rangers film even has a plot point in which a Krispy Kreme donut store becomes a major focal point of the action, mentioned by name and prominently featured in the frame on many occasions. Another form of product placement comes from filmmakers including references to their earlier films, though this is generally less blatant and more subtle. The Solution: There are many alternatives here, and in fact, many films make light of this concept. Wayne’s World features a hilarious “sell-out” scene basically making fun of the process. Quentin Tarantino films use fictional and discontinued products, which helps to give these movies their own identity. If your movie must use product placement, it should not be blatant or feel forced, as many films over the years have. 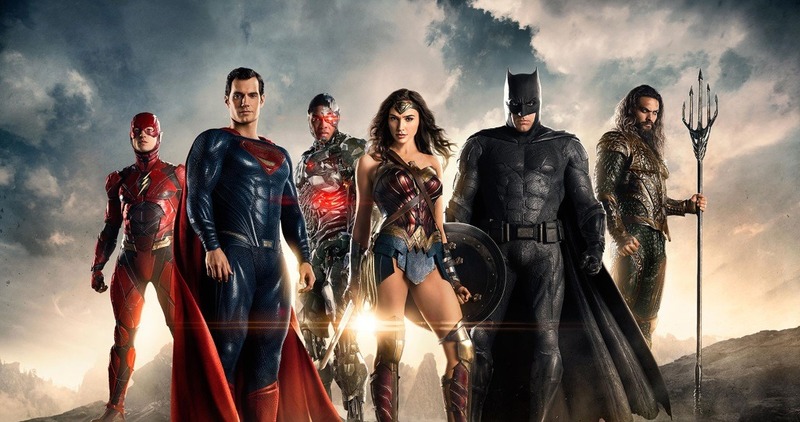 DC has tried to follow in Marvel's footsteps with their own Cinematic Universe, but the results have been less than stellar. Will Wonder Woman and Justice League change this? Quite possibly the single biggest offender on this list. Marvel Comics launched their own Cinematic Universe with Iron Man back in 2008, gradually building from something small into something massive over the course of a decade. Marvel did this excellently; their films are excellent and click with the audience, starting small and building up to bigger results. The problem is that every single other film studio/company/franchise/etc. has completely reconfigured their filmmaking approach to copy Marvel. And unlike Marvel, these other companies have no patience and try to build the whole universe in the course of a mere handful of movies. Put simply, they have chosen to try to build the universe before they build individual movies. The result is that movies fill like setup for something else rather than solid standalone products. It also makes films less standalone, and more dependent upon the viewer having seen the other films in the series. The solution: Just make individual damn movies. Unless you are Marvel Studios, don’t even try to make a cinematic universe. All of these studios are announcing plans for their own universes, then the films tank financially and get a terrible critical reception, and said universes are cancelled, resulting in the studios having to try something else. This could easily be remedied in the form of a traditional filmmaking approach, simply giving sequels to good movies a few years later. During or following the credits, an additional sequence is shown, which is almost always used to set up a sequel, or further flesh out details of what happened in a movie. While the Marvel Cinematic Universe is certainly not the first film franchise to do this, every other studio has turned copycat and is now doing it. The problem is that by the time a movie ends in a theater, the audience is ready to leave the theater, stretch out, and finally relieve themselves in the restroom. When you have ALL THE CREDITS at the end of the movie, sitting through them feels like an eternity, and is certainly uncomfortable if you are someone like me that needs to hit up the restroom first thing after a film ends. I miss the days where, as soon as the credits started rolling, you could get up and leave. The solution: Simple. Just set up sequels with briefer moments in the actual movie. Do not force the audience to endure 10 minutes of a credits roll. A great example of this is in the original Star Wars; when Luke Skywalker has destroyed the Death Star, we see Darth Vader’s TIE Fighter spinning out of control, prompting him to fly away and regroup. Simple yet effective, and we know our heroes will have to deal with him another day. The Sam Raimi Spider-Man movies provided some not-so-subtle hints as to actions Harry Osborn would take in the third film, and they did it without forcing audiences to sit through a lengthy credits roll. Basically, a film studio decides a series has become overblown or lost its luster, so they start it over from scratch. There are many reasons for doing this; Sony rebooted the Spider-Man series following its third installment both to go back to square one, and to prevent the film rights from reverting to Marvel. Unfortunately, this has become another very common trend, and while many of these “relaunched” versions of franchises are surprisingly well done, the results are hit and miss much of the time. The solution: Not every single franchise needs to be rebooted. In some cases, a straight sequel to earlier, unfavorable movies can save the day. It comes down to whether or not it is a franchise that needs to be rebooted, or is even worth rebooting in the first place. The reboot treatment actually worked surprisingly well for characters like Batman (in Christopher Nolan’s film trilogy) and James Bond (starting with Casino Royale in 2006), but more and more studios are jumping on the bandwagon, thinking taking a dark, gritty approach with classic characters after relaunching a series will automatically make the movie good. Do not do a reboot if no one wants it, or if the character is not going to sell these days. 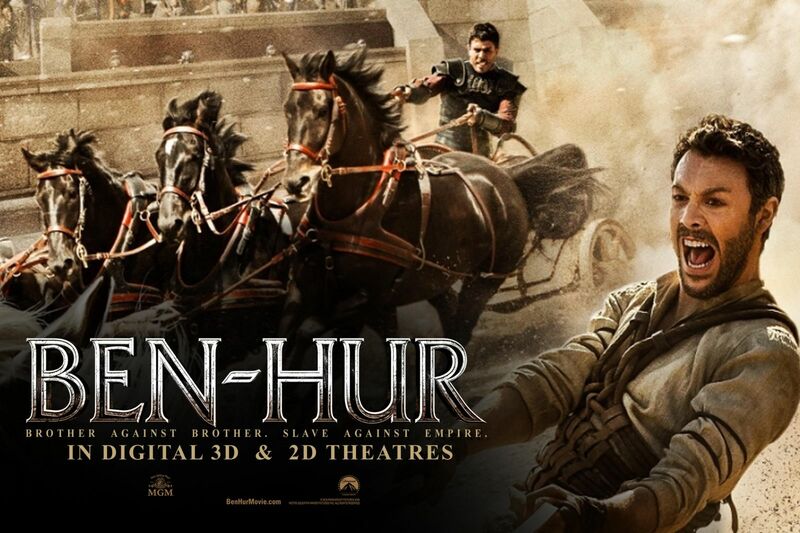 The story of Ben-Hur has been adapted for the screen many times. TOO many times. Over the years in Hollywood, remaking older films has been a big business. The problem is, many of these films have gotten the remake treatment, when the movie was perfect the first time around and did not need to be revisited. The Karate Kid remake from 2010 was not a bad film, but was a pretty blatant scene-by-scene remake of the original that simply swapped character names, ages, races, and story locations. In 2016, we got (what I believe is) the SIXTH version of Ben-Hur, although the 1959 third version with Charlton Heston was damn near perfect. In many cases, remakes serve as “star vehicles” for the biggest names in Hollywood, but ultimately end up suffering as a result of this, failing to capture the depth or the entertainment of the original spectacles. The solution: Stop remaking films that don’t need it, and that the people didn’t ask for. There are plenty of amateur screenwriters out there looking to break into the industry, with fresh ideas and screenplays. Let’s get something from them for a change, instead of remaking the same old stories all over again. It comes down to the old adage of “if it ain’t broke don’t fix it.” Remakes of older/classic films are not necessarily bad; the 2007 remake of 3:10 to Yuma, directed by James Mangold, comes to mind as one of the few movies to break the “remake curse.” But many of these remakes are unnecessary; audiences don’t want to pay the money to go to a theater and see an inferior version of a classic story they already own on home video in a better form. This element is a sure-fire way to spruce up a story in any genre, but it is also one of the easiest ones to mess up. Since time travel does not exist in real life, filmmakers are able to utilize it in their own manner and best mold it to their story, which has resulted in films of a very mixed quality. Even the best time travel stories have more than a few plot holes and their share of rough ground as a result of using this all-too-common plot device. The solution: This is a tough one, since there actually have been some very good stories made utilizing time travel elements. But the process needs to be made to feel believable and realistic, and not like the filmmakers are simply bending it to their whims, depending on what the story happens to require at the moment. Used properly, this can make for a great movie, so long as it doesn’t rip off any pre-existing time travel stories. Done badly, it creates a mess of a film ridden with plot holes. "Modern" Elements that Date the Film Later. Films should feel like a product of their era, but they should not feel like they are “bogged down” in the era in which they are made. For instance, the story told in the 1966 Batman film is timeless (albeit campy), but the filmmakers dated the movie by including a figure in a scene accompanied by two Beagles that is clearly supposed to be then-president Lyndon B. Johnson. James Bond movies are particularly guilty of this trend, with scenes that include pimpmobiles and blaxploitation-style characters in Live and Let Die, and rather blatant references to other popular movies/trends of the time periods. The first Sam Raimi Spider-Man film was great, but its soundtrack feels dated just over a decade later, as does a cameo appearance by Macy Gray. The solution: When it comes to making a movie, don’t overdo these elements. What is popular and known when you make your movie is not necessarily going to be popular in a few years. When movies do this and are revisited years later, these elements can range from being annoying to outright cringe-worthy. 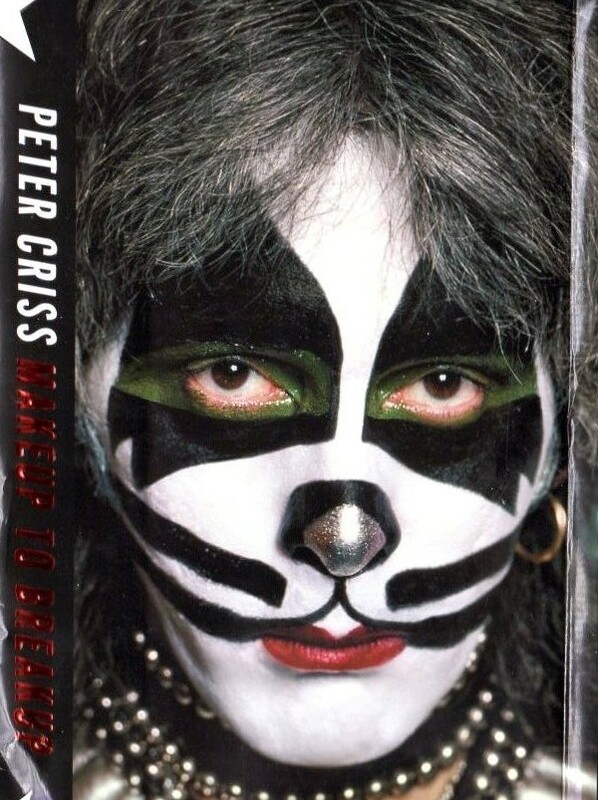 Sometimes, refraining from referencing the popular culture of the era and using songs that will no longer be all the rage a few years later can be a major step in the right direction. Come on. You know he's NOT going to stay dead. Characters die and get killed. It can be a dramatic, tear-jerking moment, giving the audience the want to see the heroes succeed. But when someone dies a hero’s death and is resurrected a short period of time later, the death loses its impact, as does the value of life in the presentation. The Dragon Ball franchise is infamous for characters never really “dying” in the traditional sense, since, they can be wished back to life if they did not die of natural causes. 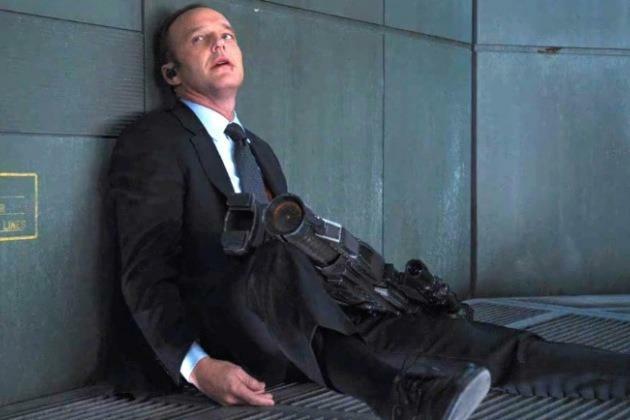 The Avengers featured a dramatic scene of Agent Coulson, who has no superpowers, dying a heroic death standing up to Loki… only to be resurrected for the Agents of SHIELD TV series, ruining the significance of his “sacrifice.” In Batman V. Superman, Superman dies, but we know there is a Justice League movie coming up later this year, so of course he’s not going to stay dead. The solution: In the real world, when people are killed, they stay dead. It’s a simple rule for filmmakers to follow. And yet, they are blinded by the almighty dollar that they can get by resurrecting someone to put them in sequels to sell more tickets. Deaths in the real world have meaning because we know the person is gone, and they are never coming back. 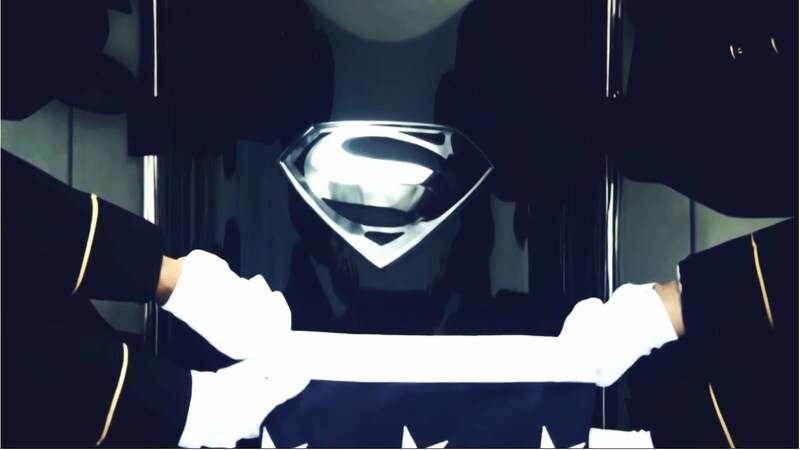 Make death something that the audience can relate to when a beloved character dies, not something that they can come back from. When a character dies a hero's death, as Phil Coulson did in The Avengers, it should be permanent. Reviving the character robs the sacrifice of its meaning. The solution: Don’t be afraid to kill off your character or core heroes once in a while, so long as the death will be permanent and with meaning. In Psycho, our leading lady dies in the first act of the movie, and we feel it for the rest of the film, not to mention it does a good job driving the plot. Don’t kill characters just for the sake of being able to say you let some of them die, but be willing to end their lives in the story if it serves a bigger cause. This is another overused cliché that does not seem to be going away. Captain America: The Winter Solder features the death of Nick Fury, and a funeral/graveyard scene for the character. If you have followed Marvel movies extensively, the death stings, because of Samuel L. Jackson’s brilliant portrayal of the character… but he rather conveniently didn’t really die! In the otherwise excellent Star Wars: The Force Awakens, we are introduced to Poe Dameron, who quickly befriends Finn, only to have Poe die in an explosion in a quicksand pit… but guess what? He actually survived it somehow! Early James Bond movies are infamous for using their pre-credits teaser sequences to tease the death of Bond, or in some cases, major villains. The solution: Faking deaths and revealing someone to still be alive is an overused cliché that cheats the viewer. There is almost no “good way” of doing this, the audience and film both suffer as a result. This is one of those cases where the filmmaker is just best off avoiding it at all costs. With so many overused elements in movies dragging films down, it is time to put an end to these trends... or just start doing them in a way that works. What do you hate to see in movies and believe needs to end? Feel free to post your opinions in the comments section below. DISCLAIMER: All photos used in this article were found via Google searches, and are the property of their respective copyright holders. This article is for entertainment purposes only. 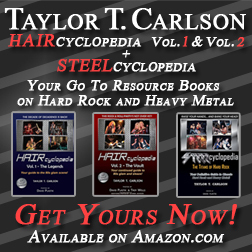 Opinions are strictly those of the author, and do not necessary reflect those of Z'RockR Magazine and/or other writers/personnel affiliated with the site. 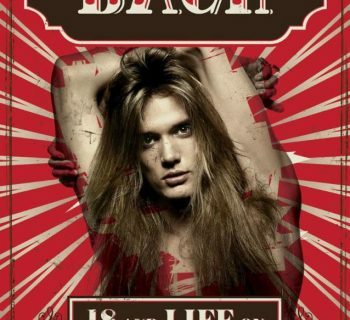 Sebastian Bach - The Infamous Rocker's Autobiography is Here at Last!